Figure skimming silhouette made from beautiful beaded and sequined French lace. 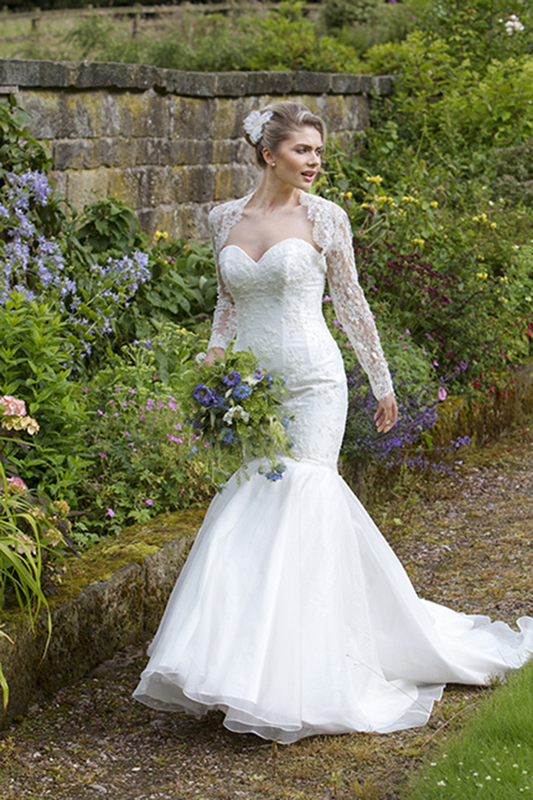 It’s sweetheart neckline and signature Lyn Ashworth corsetry makes this the perfect waist enhancing and shape of dreams!…. With it’s fun and flirty kick out silk organza, dupion skirt and French lace bolero perfecting the look.